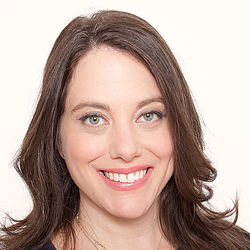 As a licensed clinical social worker, a certified psychoanalyst, and a trained EMDR therapist, Emily Levin is the founder and clinical director of Emily Levin Therapy with offices in both Manhattan and Brooklyn. With over ten years of experience in private practice, Emily specializes in individual, adolescent and couples therapy while utilizing various modalities in her approach to treatment which include relational psychoanalysis, Eye Movement Desensitization and Reprocessing (EMDR), Internal Family Systems, and mindfulness, among others. In addition to her role as founder and clinical director of Emily Levin Therapy, Emily is a co-director of evening programming at National Institute for the Psychotherapies, and has been published in numerous mental health publications and prominent journals such as Psychoanalytic Perspectives. Emily has been a guest speaker at various mental health conferences on her expertise in psychodynamic theory, the treatment of trauma, as well as suicide prevention. At Emily Levin Therapy we work with a wide range of emotional and behavioral issues providing services that span from therapy for depression and grief counseling to couples counseling and beyond. In a comfortable and supportive atmosphere, we offer a highly personalized approach tailored to the needs of each client to help attain the personal growth they’re striving for. For questions or to schedule an appointment, please give us a call. We use a creative approach and work to foster a safe and comfortable environment. Also, please visit www.EmilyLevinTherapy.com for more information. Note: We have an associate that works in our practice that is able to see patients on a reasonable sliding scale. Call for more information. Cash, Check, Health Savings Account, MasterCard, Visa, American Express. Yes. Call for details about specific plans and coverage.